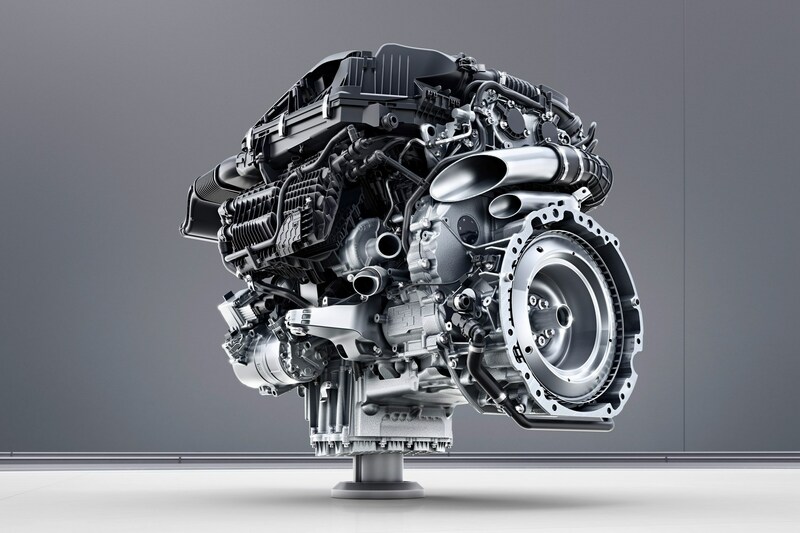 Mercedes’ new in-line four- and six-cylinder petrol engines are the first to be engineered around a 48-volt architecture. 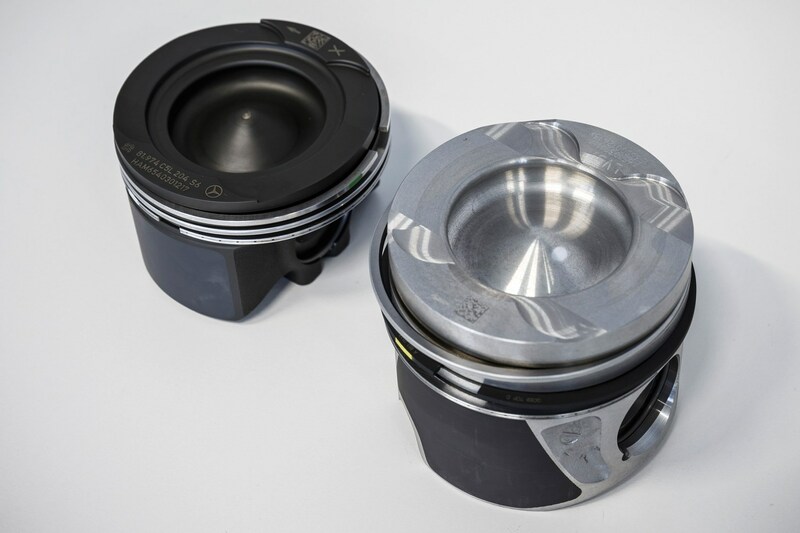 They also share the same 500cc cylinder size and bore spacing with the new family of four- and six-pot diesels, allowing all these modular power units to be assembled down the same production line. In some iterations they share up to 40 percent of components. A new Mercedes straight-six! Finally! Indeed. The new straight-six petrol boasts 408bhp and 369lb ft, compared with 333bhp and 354lb ft of the outgoing V6 – but the new six pumps out 15 percent less CO2. The new Toptype petrol four, on the other hand, promises ‘up to’ 100kW (134bhp) per litre and a fuel consumption that’s 10-15 percent lower than current comparable fours. 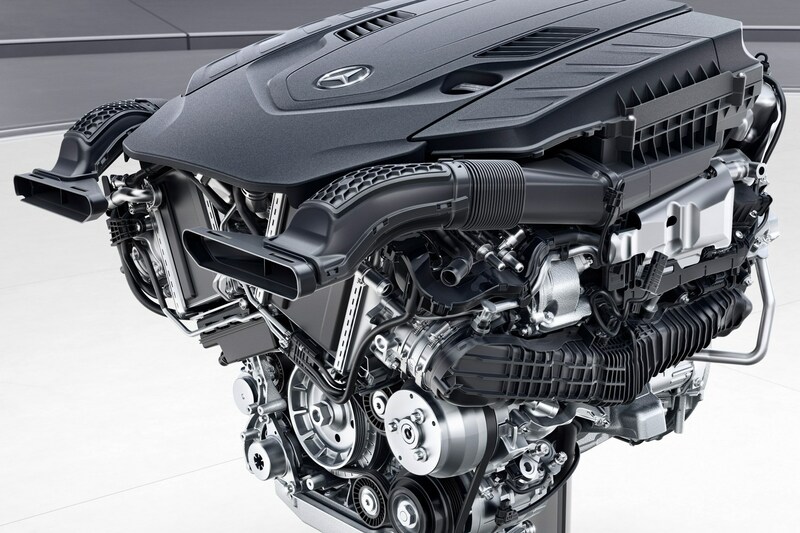 Additionally, there’s a new straight-six diesel derived from the same architecture. It produces 313bhp and 479lb ft, and is also seven percent more fuel efficient than the previous engine. 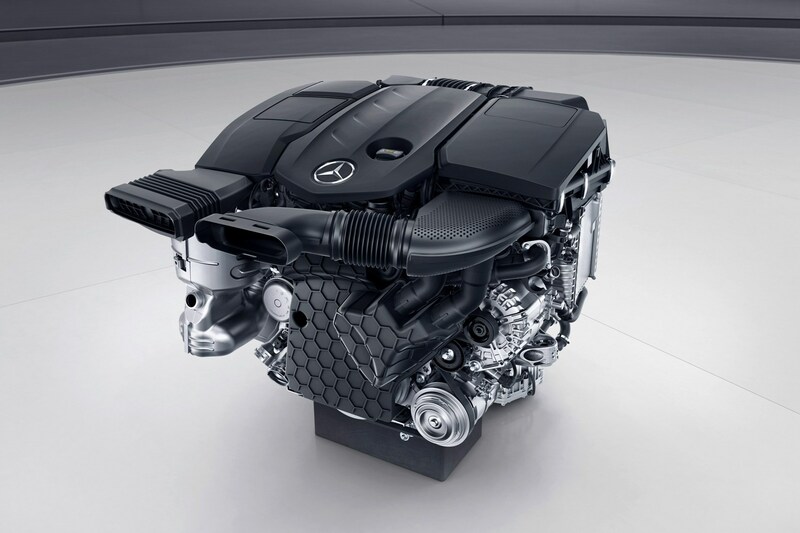 There’s also an AMG-developed twin-turbo four-litre V8, with cylinder deactivation, in the works. It’s good for 476bhp, ‘around’ 516lb ft and 10 percent better mpg than the outgoing engine. 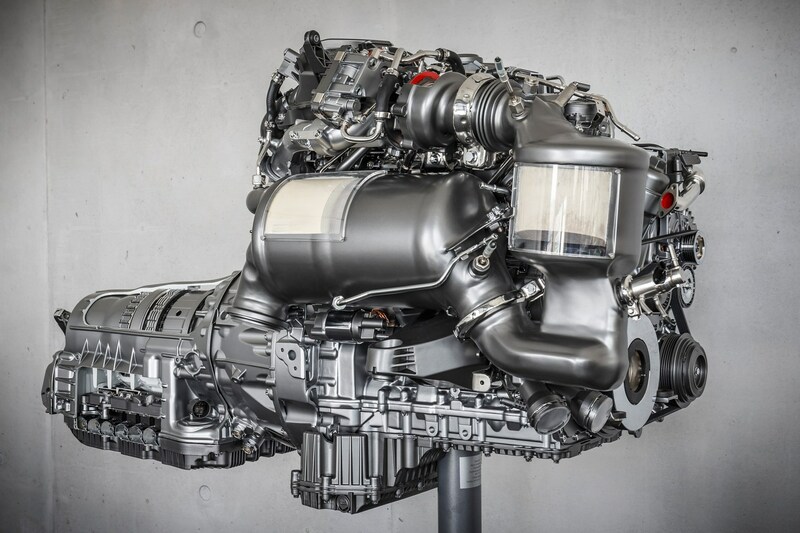 All the power units will appear in next year’s S-Class, before percolating across to E-classes and G-classes. What are the benefits of switching to a 48-volt set-up? The transition to higher voltage has been mooted since the late 1990s but never materialised. However, impending tighter emissions regulations – in 2018 and, especially, 2025 – has galvanised manufacturers into rapidly advancing combustion engine technology. Customers are also demanding improved economy, further prompting developments. It’s perhaps appropriate that, 130 years after launching the first internal combustion engine, Mercedes should be leading that, ahem, charge. What else is new on Merc's new engines? 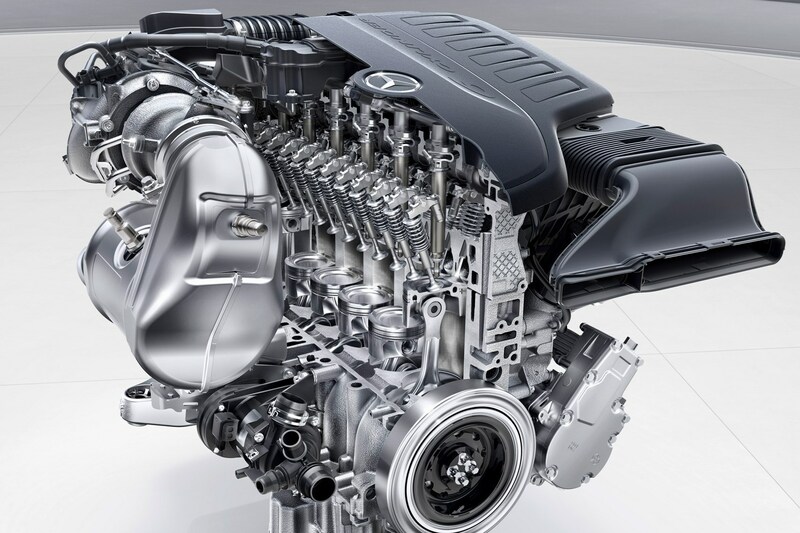 Because of the slim nature and configuration of the six, Mercedes can mount the exhaust after-treatment systems right next to the block – and only the particulate filter is under the floor. 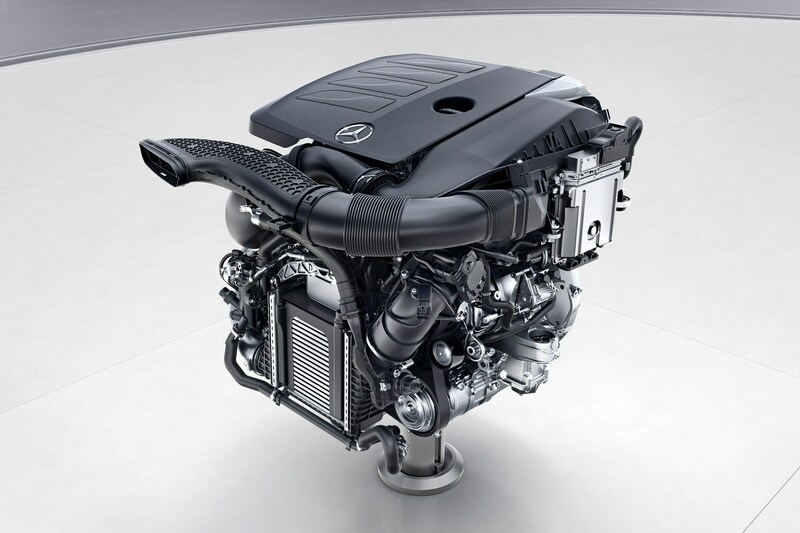 Particulate filters will also now feature on direct-injection petrol engines, to eliminate fine soot particles in a similar way to diesels; they will gradually be introduced across all Mercedes petrol engines. Mercedes is additionally using a twin-scroll turbo on the four-cylinder engines, as an alternative to twin parallel turbo concepts – the spiral housing of the twin-scroll turbine is divided by a flow separator into two parallel channels which, in combination with a two-pipe exhaust manifold, allows the exhaust gases to be separately supplied to the turbine wheel. This preventing negative cross-influencing of the individual cylinders, resulting in improved efficiency.